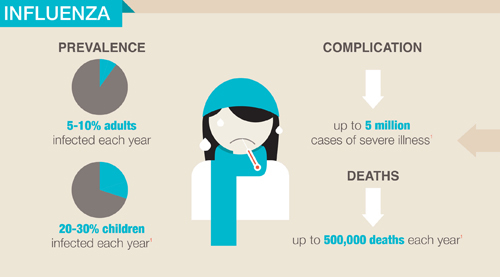 The flu can increase the risk of complications for several noncommunicable diseases. This graphic from the International Federation of Pharmaceutical Manufacturers & Associations (IFPMA) brings you the details. 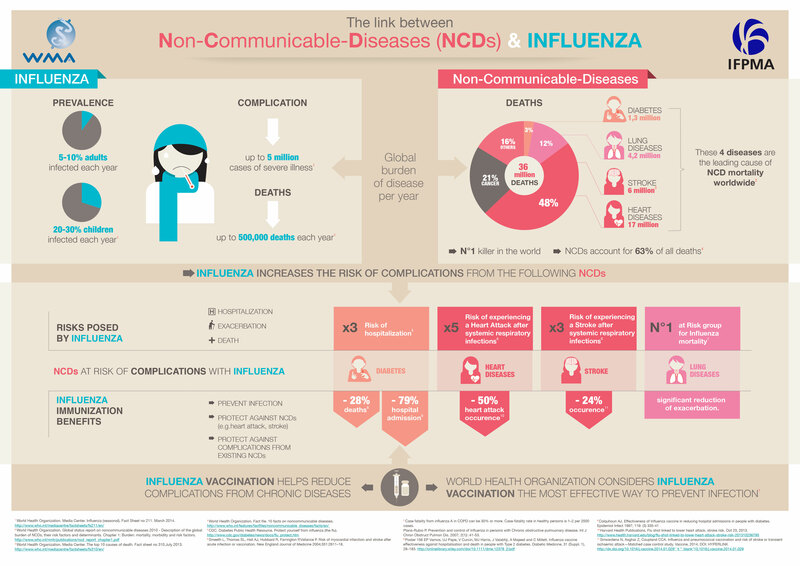 Influenza can increase the risk of complications for sufferers of noncommunicable diseases such as diabetes, heart disease, stroke, and lung diseases. This infographic from IFPMA tells you what you need to know as well as highlights the best way to prevent the flu, whether you have any of these conditions or not. If you're having trouble reading the infographic, click here for a larger version.